Ranking your website near the top of Google seems impossible for some. However, when you have a Clear Path to get there, its not as difficult as you might think. In part 1 of this brief series, Best On Page SEO Techniques – Content & Title Tags, we talked about the importance of great content, using keywords, and how to implement title tags. 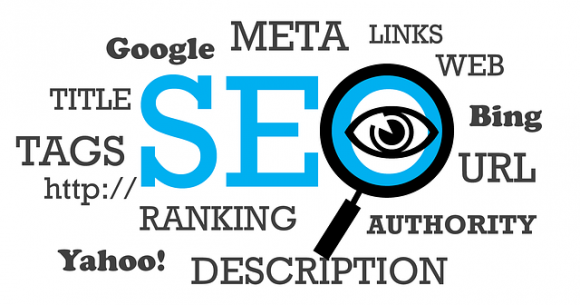 In this article, we’re going to review a few more necessary techniques to get your website ranking well on Google and the other search engines by using high-quality meta descriptions. To answer that question at a high level, this just means that you’re creating a page or post on your website that has all the elements and attributes it needs to rank well in the search engines. Now on-page optimization is not the only ranking factor but you can’t rank well without it. Its the foundation of your page and a great place to start off correctly. Why are you writing this page or post? Now, you don’t want to write like a robot for a computer. You want to write naturally about this topic and then go back and fine-tune these items to ensure you’ve optimized everything you can. To review, first, select a great keyword. Secondly, write great content that is unique to you. Finally, take time on your title tag to ensure you get it right. Sounds like a techy task but in reality, this is fairly simple to do. Within the SERP, just below the title tag and URL, the meta description which provides a brief description of the page (or a snippet). These snippets also appear when your page is shared by visitors via other websites or social media outlets. If you don’t complete your description, the search engines will come up with something for you to try and enhance the user’s experience. No doubt, you want complete control over this area. You want to get this right as prospective customers will view and read this area multiple times per day if you’re ranking well… and this could be a make or break plea for their business. If you use WordPress, you can use any one of the various SEO plugins that are available. The two most popular being “Yoast” SEO and the “All in One SEO Pack”. I’ve provided an example below of the title tag and meta description fields I used to write the first article in this series. Aging, write for a human, not a computer. Meta descriptions should be no longer than 160 characters long. Don’t duplicate these meta tags across pages or posts as Google could penalize you. Give it your best effort at produce quality copy that will draw in the reader to click on your page. Please understand, Google has said that meta descriptions are not a direct ranking factor for them. However, meta descriptions are super important for getting clicks and if you’re not getting clicks – that alone will hurt your rankings. So, take some time with this folks.